The Dishman Hills Conservancy in partnership with Spokane County Parks and the Department of Natural Resources has protected over 2500 acres in the Dishman Hills. 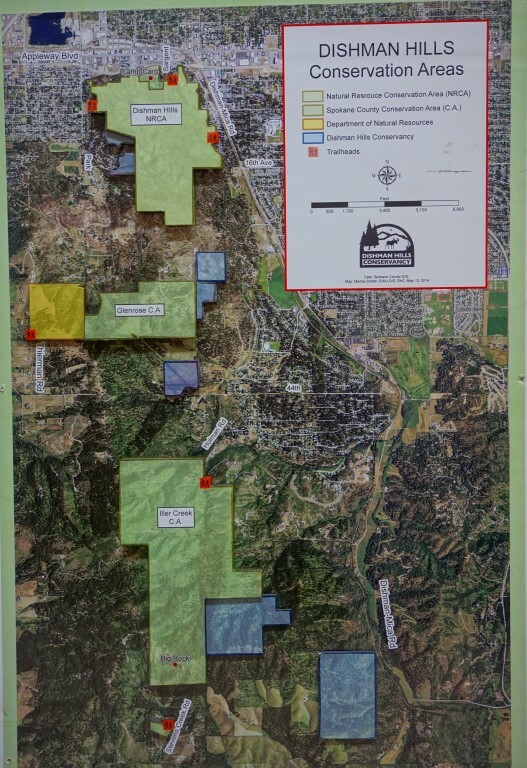 Of these lands, the areas in blue (below) are owned and managed by the Dishman Hills Conservancy. The NRCA are is jointly owned with Spokane County and DNR.